20 students from three primary schools within the Logan region were invited to represent their class and attend the inaugural Camp Koala. 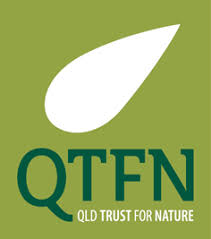 The camp was hosted on the grounds of the beautiful Aroona homestead in partnership with the Queensland Trust For Nature, thanks to a community grant awarded by the CommBank Foundation. The film crew from Totally Wild were there to capture all the excitement as students learned about the balance required in using land for both production of agricultural crops and conservation of threatened native species. After a bush walk to collect camera trap data and a brief sighting of the elusive brush-tailed rock wallaby, we were treated to a demonstration of koala detection dogs working with their handlers. They demonstrated for the students how koalas can be tracked using their scats, which is a non-invasive way of collecting DNA to identify family groups, movements, habitat usage, infections, and so much more! Early the next morning, before it got too hot and sunny, we planted 200 trees before our friends would have even walked through the school gates! The trees were a mix of species to match the biodiversity of the natural forest and will help provide more of the right environment for the threatened species that live in the area. The area for planting was chosen based on information gathered by the koala detection dogs that showed the koala needed more shelter and food sources in this area. The whole episode is wonderful (click the image below to watch!) and you can see our Camp Koala segment from 4:22 to 8:02. Did you know you can study fangaroos!? Wonder of Science Young Science Ambassador for three years, and now full-time Program Officer with WoS, Dr Kaylene Butler, graduated with her PhD in vertebrate palaeontology in the mid-year ceremonies at The University of Queensland - congratulations! Dr Butler specialised in researching the ancient fanged kangaroo population of Australia, tracking their diet, competitors, boom and bust through fossil records to inform current conservation efforts in the hope of preventing extinction of current kangaroo populations. Her work is so cool that Totally Wild even filmed an episode featuring her! You can read more about what inspired her to work in this area here and her advice for how to get into research here. 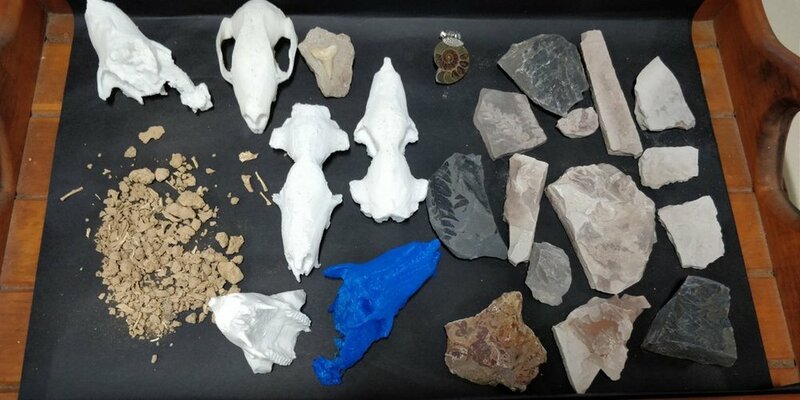 Bits of rock and bone, 3D-printed models of ancient kangaroo skulls, and a range of fossils are the essentials in Dr Butler’s scicomm toolkit! Students from the Lockyer region gathered at the University of Queensland campus in Gatton to share their responses to the Wonder of Science challenge tasks and take part in fun workshops. 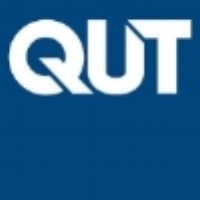 They competed for the title of Regional Champion and an invitation to present to their peers from all the Queensland regions at the State Conference to be held in November at the University of Queensland St Lucia campus. The regional student conferences provide the opportunity for students to practise effective science communication, conveying the process and outcomes of their scientific inquiry project which builds higher order thinking skills and develops scientific understanding. On the 24th of March, 2018, during the World Science Festival Brisbane, the winners of the Queensland Women in STEM Prizes were announced by the Minister for the Environment and Science Leeanne Enoch MP and Minister for Women Di Farmer MP. With over 10,000 views, Amy Chan was awarded the People's Choice award for her entry describing her research on sepsis and her motivation for continuing to raise the profile of women in STEM fields, titled "Mission Inflammation: Guarding against Collateral Damage in Infection"
Emily Furlong | "Understanding the weapons assembly factory in bacteria"
Pingping Han | "Boning up: New treatment for osteoporosis"
Claudia Stocks | "Think zinc! Discovering new ways to fight infectious disease"
Nicole Stormon | "Solving oral health inequalities through research"